i Fratelli Pizza DoughNation benefits Austin Humane Society on Feb 20. Just mention them with your order at any of our 15 locations. 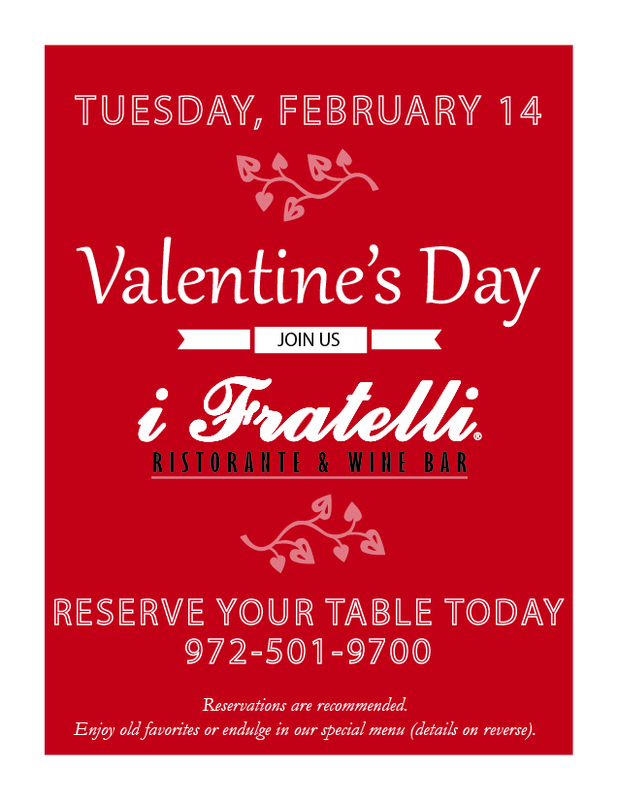 Applies to take out, delivery, and dine-in at i Fratelli Ristorante & Wine Bar from 11 am until 10 pm on Monday Feb 20. 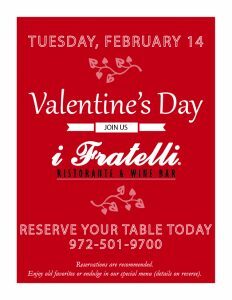 Make your Valentine’s Day reservation today at 972-501-9700. Choose old favorites or indulge in our special menu. 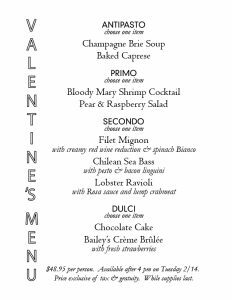 $48.95 per person, available Tuesday Jan 14 from 4 pm until 10 pm while supplies last. Reservations are recommended. 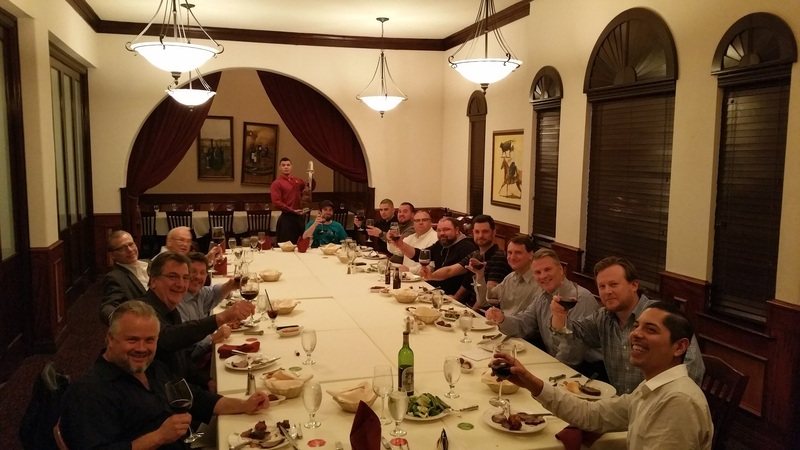 Celebrating the best managers and franchise owners in the business at our annual Million Man Mangia at Boi Na Braza in Grapevine. Mention La Buena Vida Youth Leadership Foundation with your purchase on Monday, Jan 9 and they’ll receive 15% back to support local homeless teens. 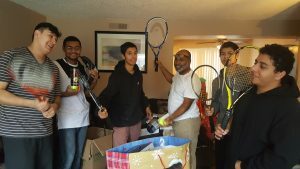 LBV teens with donated Christmas gifts. La Buena Vida residents are homeless students in Irving who have had difficult family situations and have come to live in our transitional housing program. The funds raised will help provide their housing and care while they focus on completing their education.